Every year I take a portrait of Peter on his birthday. 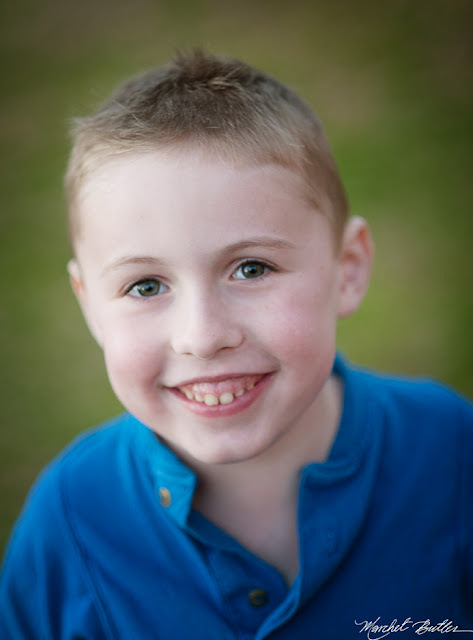 Here he is, six years old. He is growing up so fast! While I miss the younger Peter, I'm also thrilled about the current Peter. He can buckle his own seat belt, get his own snacks, and even help with the laundry! He's a pro at the doctor's, a prolific artist, and as friendly as ever. Plus, our life isn't all about cystic fibrosis anymore. It's about school, and soccer, friends, and trains (always trains). 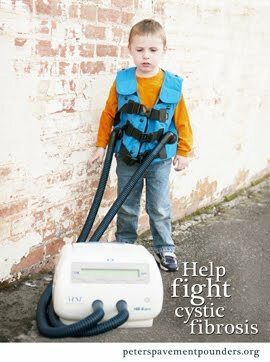 Of course, CF will always be a big part of our life, but I have hope that as he gets older, there will be more and more therapies, treatments, and medications available to extend his life. 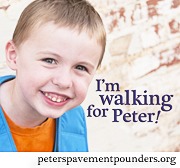 We're walking in Great Strides on Saturday, May 18th, 2013. I hope you will join us or donate what you can to help. It does make a difference. 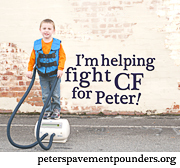 Peter's life has been affected directly by the Cystic Fibrosis Foundation's efforts to find a cure.